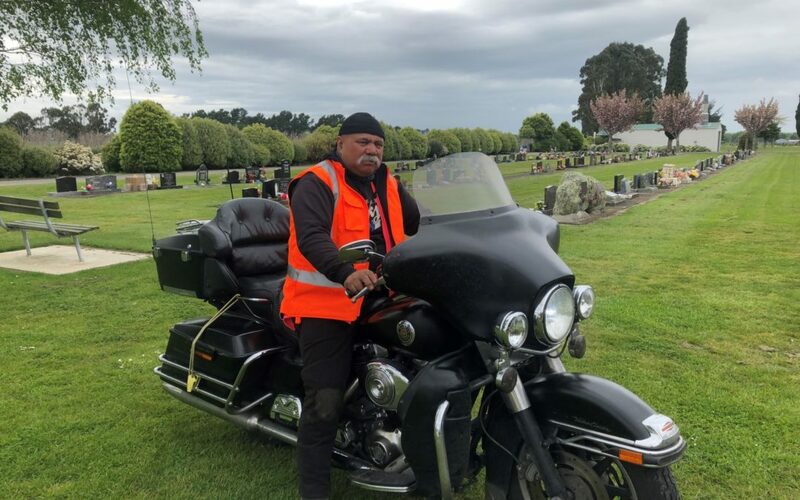 Tamiana Tamiana is a hard-working man who cares for the grounds where Carterton’s lost loved ones are laid to rest. He is also a convicted killer. ELISA VORSTER talks to the man who handed himself in to police 22 years ago and turned his life around. From the moment you drive through the gates of Clareville Cemetery, you’re struck with the realisation that hours of work have gone in to keeping the grounds pristine. The man behind it all, Tamiana Tamiana sits on his ride-on mower, a little shy and reluctant to take all the credit for the work that goes on there. But it doesn’t take long for Tamiana’s personality to shine through as he laughs, jokes and speaks of how much pride he takes in keeping a vital part of Carterton beautiful for its residents. It’s a far cry from the man he was in 1982 when a series of events led Tamiana to commit a murder which went unsolved for 15 years before he voluntarily handed himself in. Tamiana had been living in Murupara and was heavily involved with a local motorbike gang. His life was consumed by cannabis, LSD and alcohol abuse and it wasn’t uncommon for him to have encounters with members of rival gangs. A confrontation with Hemi Tapson, a 31-year-old man associated with one of these rival gangs, led Tamiana to feel he and his family had been threatened beyond resolution. “I knew I couldn’t let him leave that driveway,” Tamiana said. The consequences of that night would come to weigh heavily on Tamiana in a way he never anticipated. Fast forward to 1996 and Tamiana had already begun to make major life changes. His gang life was behind him, along with the drugs and alcohol. He had begun to study the bible with the Jehovah’s Witnesses, had a young son at home and another son who had just been born. However, his baby’s future was already looking bleak – he was only a few weeks old before he was knocking at death’s door, leaving medical professionals perplexed. “I didn’t want to lose that baby, so I made a pact with Jehovah,” Tamiana said. “I said to Him ‘if you allow him to live, I’ll hand myself in’. The next morning, the hospital staff asked him to sign documents allowing his baby to undergo lifesaving surgery for a twisted intestine. Tamiana knew he needed to stick to his word and hand himself in. He told his family of his intentions – something they weren’t happy about as they were fearful of gang retaliation against Tamiana and themselves. Although the gang members were already waiting for Tamiana in jail, he felt a massive burden had been lifted off his chest. Part of what he had learnt through his bible studies was about making peace with your brothers. “I wasn’t making any headway in life or in my spirituality,” he said. Facing a minimum sentence of 10 years, Tamiana chose to make the most of his time. After dropping out of school at the age of 15, his literacy and numeracy skills were lacking, but his desire to work hard and make something of himself propelled him forward. He enrolled in every course he was able to, learning vital skills as well as learning more about himself and his cultural heritage. By the time he was released from jail, he had a folder 10cm thick containing all the certificates he had gained through the prison system. His fierce work ethic continued through to his life on the outside. 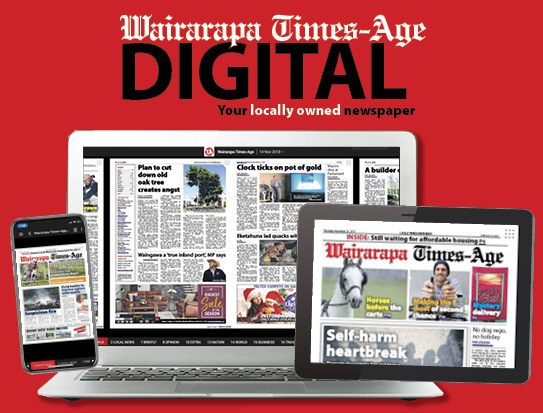 He moved to Carterton around five years ago after feeling a responsibility towards looking after his mum – helped by taking her shopping and to doctor’s appointments and learnt about his family ties in Ponatahi. Applying for a job on the parks and reserves team at Carterton District Council he had to face a jury of a different kind when council officers asked him to disclose his earlier life. But Tamiana wasn’t fazed by this, reasoning the council would be missing out if they didn’t hire him. “All I could say is, ‘I’ll give you a good honest day’s work’,” he said. And he did just that, mowing parks and lawns all over Carterton and doing five days’ work in as little as three or four days. “The other guys would go back and have smoko in the depot but I would take mine with me on the job because it would take 15 minutes to get there and 15 minutes to get back, and then the same again at lunch time. He went out to Clareville Cemetery and saw the grounds weren’t being maintained to the level of respect the families deserved. The council allowed him to go out there and make the changes needed to bring it up to scratch, which took Tamiana a whole year. Parks and reserves manager Clinton Thompson said Tamiana was valued by all at the council for his extremely strong work ethic and reliability. “What impressed us initially about him was his honesty and willingness to talk about his past. He said the team agreed to give him a chance and if one had said no, the outcome would have been different. Tamiana knows the job helps keep him straight, saying it boosts his self-esteem and stops him from resorting to crime. The work the council requires him to do takes him to areas of land he believes his ancestors have walked, he said. But his real pride and joy is his Harley Davidson motorbike and his children, who he still visits regularly. It’s a lifestyle he knows he couldn’t afford if he was living on the dole. Fantastic story of overcoming adversity and pursuing your goals. He has chosen the right path and is an inspiration to those who are in dark places. What an inspiring story . Well done ehoa may you continue to work and be humble, two traits that make a great leader. yet to meet up with him odd never seen him up there spend a lot of time up there helping folk locate a grave or two…. 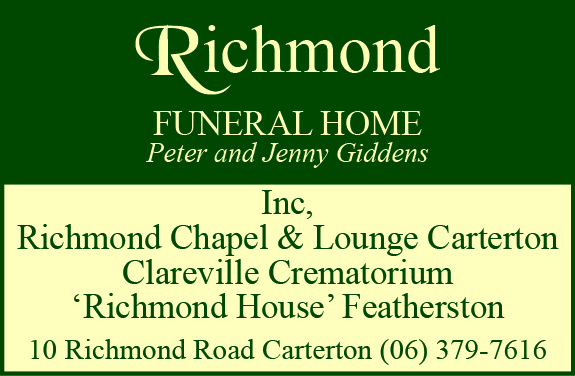 I am the lady to help anyone find a grave with or without a headstone, no charge either… Great Cemetery, we have a Pet Cemetery, worlds best secret, not on council cemetery site wonder why? You’ve come a long way in life bro! All those years of us working in Minganui/Whirinaki Forest. A lot of years gone by but its good to see you’re doing ok! God bless you and your whanau bro!